Fonality’s team of smart, talented professionals go the distance to deliver outstanding products, services and support to our customers. We are a team of more than 250 engineers, support professionals, operations and finance experts, sales reps and marketers who work together to delight our clients and have a little fun. We value transparency, teamwork and accountability. We are seeking a QA Engineer in our Culver City office. This person will be responsible for supporting test lab setup, documentation, execution and management of QA test plans and cases, tools, and best practices in a way that will produce high-quality, secure applications/software that will meet functional requirements. The ideal candidate will provide both preventative actions to avoid similar future problems, and to make recommendations on corrective actions to resolve existing product and customer problems. We are seeking a Manager of IT Systems Administration who’s primary responsibility will be to ensure a high degree of operational stability by effectively managing hardware, software, phone, and basic network support to the entire user community including remote workers. We’re looking for a SMB Sales Exec to join our SMB sales team. Fonality’s SMB team is paid on a generous base plus commission and will be responsible for sales activities from new lead generation through close of sales in a nationwide territory. We're ready for more Telecom Sales Executives to join our sales team in Plano, Texas. In this position, you will be responsible for all sales activities, from new lead generation through close of sale, in a nationwide territory. In addition, you will work with the sales management and marketing teams to generate new revenue and to achieve long-term business goals in line with Fonality’s vision and values. We are seeking a User Interface Engineer to join our growing engineering team in Culver City, CA. This position will be responsible for designing the UI architecture, interface, and interaction flow of new and existing web and mobile applications. The UI/UX designer will help transform new and existing product ideas into intuitive, engaging experiences, as well as refine existing materials and products. This is a senior-level position, and the successful candidate will work closely with the engineering and development teams. 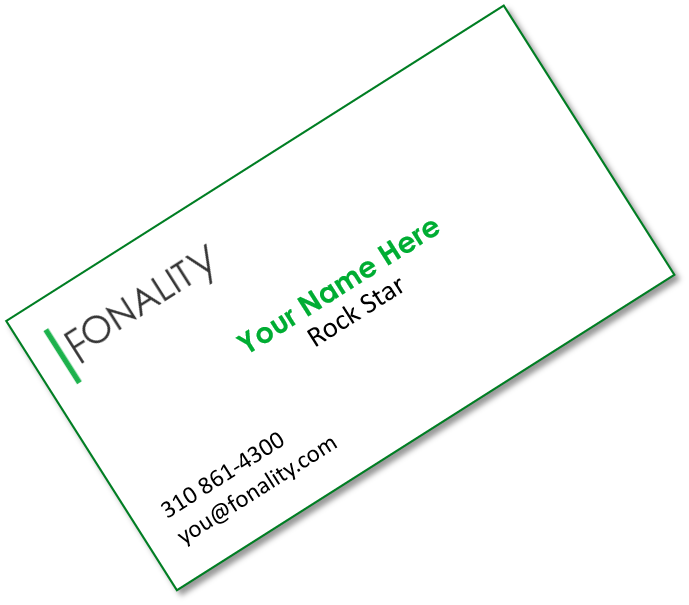 We are seeking an Accounting Specialist to join Fonality’s Finance team in Plano, TX. The Accounting Specialist will be responsible for helping the team with various Accounting responsibilities including account reconciliations, month-end journal entry uploads, entering AP invoices, as well as support for various audits. The ideal candidate will be a recent graduate from a four year university with a degree in Accounting. Are you a Linux Administrator with at least basic scripting skills looking for a change of pace? We are seeking a Linux expert who would like to join our DevOps team in our Culver City office. In this role you will be responsible for participating in a variety of challenging systems and software development projects, in a fast-paced environment. The ideal candidates should have a passion for Linux and a desire to be involved in designing, building, and supporting highly scalable web-based systems. Fonality is seeking a Network Systems Engineer who will be responsible for ensuring smooth operation of the Fonality network. This person will be responsible for network and server infrastructure engineering and operations. The ideal candidate will be well versed with advanced engineering and administration of routers, switches, network security devices, and network management systems, as well as managing Linux servers. This position requires strong competency in both Linux system administration and Cisco/Juniper network engineering.